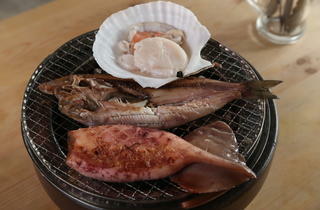 Photo: Hizwan HamidIkageso watayaki (squid), hokke ichiyaboshi (Atlantic mackerel) and hotate yaki (scallop). 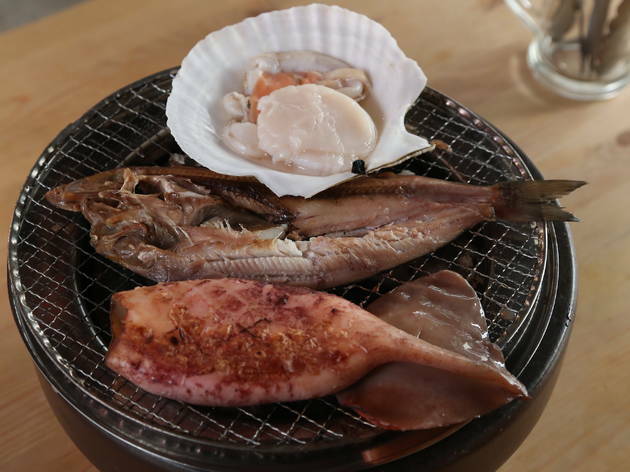 Photo: Hizwan HamidHotate yaki (scallop),&nbsp;hokke ichiyaboshi (Atlantic mackerel) and ikageso watayaki (squid). 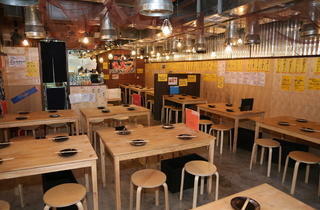 Tokyo’s Kaisen Sumibiyaki Hamasho sees its first international outlet and it’s only right that Hartamas is the suburb of choice. On a Tuesday night, the restaurant buzzes with suited Japanese men who take frequent swigs of saké and long drags on their cigarettes, talking a little too loudly past the 10pm mark. Waitresses shuffle about in kimonos (a bit kitsch, yes) and do their best by chanting ‘irasshaimase’ and topping up empty glasses. The space attempts to emulate an authentic izakaya experience, but dressed up with the comfort of air conditioning, a high ceiling and elbow room. Amber lights glow, a loud Japanese poster of a cartoon fish is slapped across the wall, fish nets haphazardly droop from steel exhaust pipes, and tarnished wooden crates embellish the counter. Amidst all this casualness, smoke blows in intoxicating clouds from all directions. This sets the tone for the food, which is all but formal. 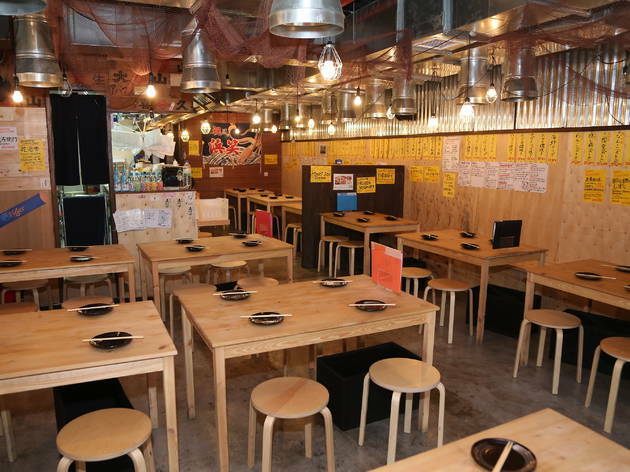 While the sumibiyaki (charcoal-grilled seafood) concept is not something that’s foreign to us, there aren’t nearly enough restaurants in KL that practise it. 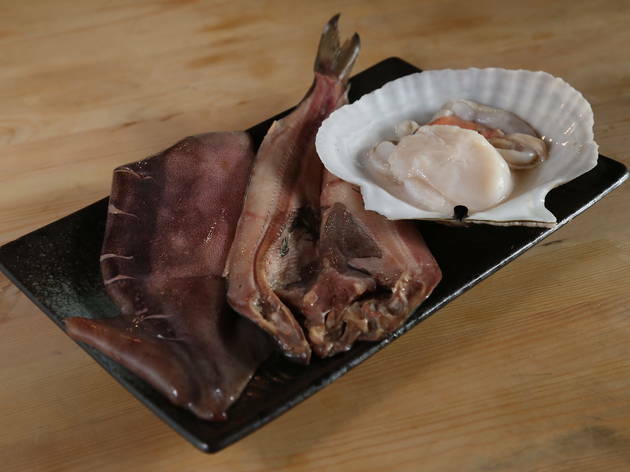 At Hamasho, there are fish, surf clams, crab legs, scallops and buttered vegetables, which you cook on portable charcoal grills on the table. I start with Atlantic mackerel, a flat piece of fish that tastes exactly as advertised – salty, fishy and wonderfully flaky. That is to say, by sheer luck, I didn’t overcook it. But this luck fluctuates throughout dinner – some items are removed from the grill completely sapped off their moisture, while at other times I emerge heroic with soft chunks of meat. Perhaps it’s the anxiousness that comes with cooking your own food at a restaurant, but constant poking and prodding is difficult to resist. Occasionally, the staff come around to help, but my seafood isn’t always salvageable. The turban shell, which looks like a snail on steroids, disappointed the most. 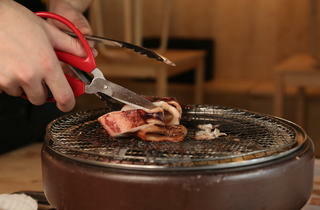 The meat, extracted from its curly shell by the waiter with the use of a narrow tool, is bouncy and dry. Even the dipping sauce – soy with radish – doesn’t resurrect the poor thing. The scallops, on the other hand, are far more supple in texture. 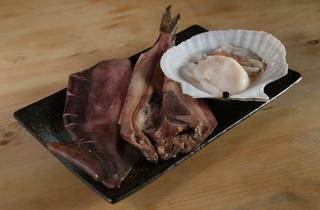 The mushrooms – eringi, shimeji and winter – come in a sealed aluminum packet with enough butter to fill a bathtub. Once cooked, it’s more a melted butter dish with a side of mushrooms. A shame, because the mushrooms are sweet and elastic when not worn down by the weight of the fat. I just about resign before my eye catches the ikageso watayaki. On the menu, I don’t know what this means but what matters is the accompanying photo of squid inelegantly slathered in red paste. 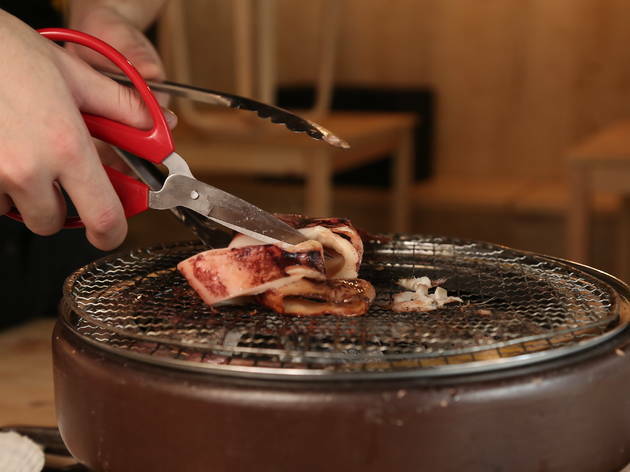 Marinated with sake and gooey squid guts, the meat crackles and shrivels on the grill, more so when brushed with soy. When cooked, it carries the salty, mineral qualities of squid ink complemented by the burnish of charcoal; this alone is worthy of a second visit. When the smoke settles, the cheque is brought about and I wince a bit at the RM200 tag. Yes, I leave the restaurant with a grease-slicked smile on my face, but whether or not the bill is justifiable for food I end up cooking myself in an environment that leaves my clothes fragrant with smoke and fish, I stand conflicted.